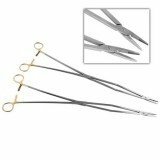 Needle holders are used in laparoscopic surgical procedures to secure needles during the suturing of incisions. 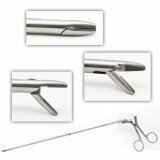 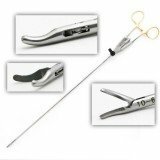 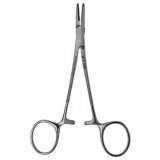 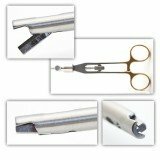 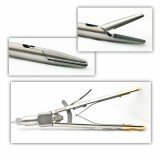 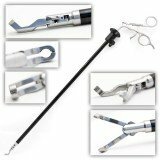 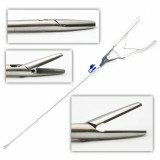 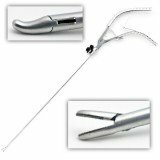 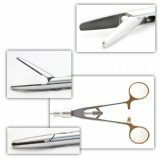 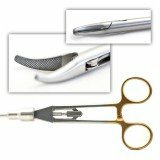 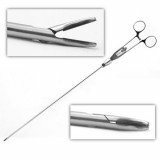 Popular laparoscopic needle holder patterns include Appel, converse, double action, and in-line styles with axial handles, serrated and/or tungsten carbide jaw inserts. 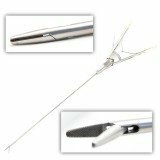 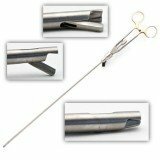 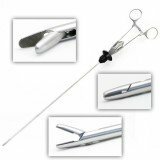 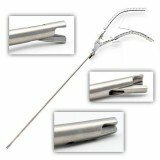 LAP NEEDLE HOLDER 5mm X 32cm W/SPRING SERR.